The AVENGED stripe kits looks great and are in stock! These Factory Style Dodge Avenger Hood and Side Stripe Decals Graphic package fits the 2008 2009 2010 2011 2012 2013 2014 Dodge Avenger. 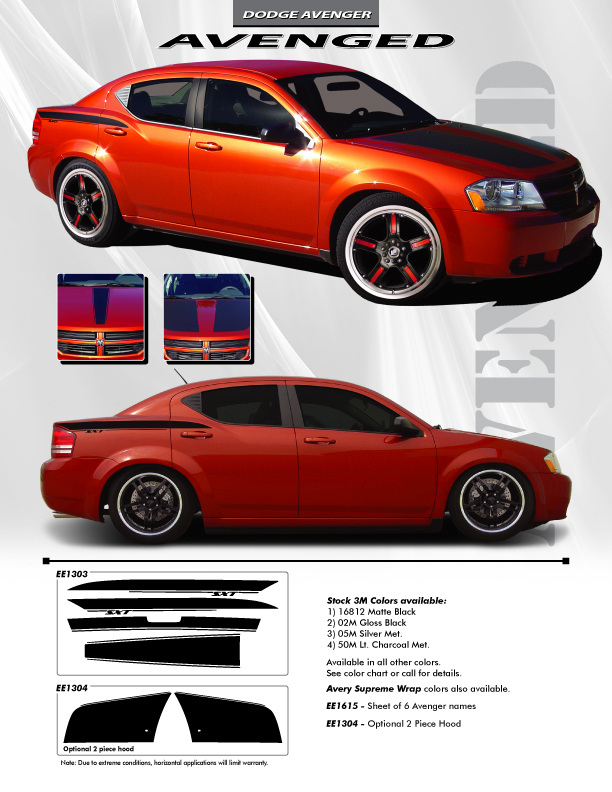 These Dodge Avenger Decals RT, SE & SXT stripes look great! Hood, Deck Lid and Both Left and Right Side Stripe Graphics.